Italy is many people’s dream place to visit and my memories from the time I was in Venice and Verona back 12 years ago, made me a member of the “I love Italy” tribe. This is why when we went to Ljubljana for a week this October, a day trip to Trieste, Italy, was a must-do activity on our list. Oh my God, what a difference! If you’re also staying in Ljubljana and decide to repeat our trip steps, you may experience quite a cultural shock which I found very amusing. As we crossed the border (just a line) between Slovenia and Italy, the difference was massive! From the wide, well-structured streets of our favorite Slavic country, we found ourselves in tiny, narrow and crazy busy, full of buses, bikes and cars streets of Italy. As we walked out of the bus station, we were blown away. And no, this is not a metaphor – the wind was so strong, that we needed to use muscle power to walk. Naturally, as with most Italian cities, architecture is stunning. The only thing that can distract you from staring at the magnificent buildings are the people, who seemed so stressed at 9 o’clock in the morning. I don’t really know if it’s an Italian thing or a Trieste thing, but everyone looked angry and annoyed (along with their dogs that were barking like crazy for no apparent reason). Compared to Slovenian untroubled dog owners and their quiet and calm puppies, the scene was almost humorous. We arrived in Trieste very early in the morning and knowing that we’re headed to the country of pizza, we decided to skip breakfast. Do not repeat our mistake! Unlike Slovenians, people in Trieste don’t eat early and we could not find an open pizza restaurant before 11:30. We were definitely guilty of not conducting a proper research, but I should also mention that neither one of the 15 people we asked for directions to a good restaurant bothered telling us that places don’t open until noon. And this was probably because none of them spoke more than 15 words of English. BUSES TO MIRAMARE CASTLE: bus tickets cost 1,35 euros and are valid for 1 hour after you stamp them in the first bus you get on. Naturally, you can’t see the castle and leave within one hour so you will need to have a second ticket (is it me, or is this a little too expensive for city transport?). Don’t think you can walk to the castle and back – it is about 7-8km away from the center, plus there aren’t sidewalks everywhere. A couple of hours later the language barrier appeared to be a problem again. Even though we were standing right next to the bus stop we needed (without knowing it) it took “talking” to 10 people before finding out which is the right bus to hop on. FYI, if you want to visit Miramare Castle, you need to take bus №6 or bus №36 (only available during summer months) and you need to buy a two-way bus ticket as no place sells them around the area of the castle! Built in the 19th century for the Austrian Archduke Ferdinand Maximilian and his wife, Charlotte of Belgium, the castle is definitely worth seeing and I strongly recommend it. Entrance fee is 8 euros for everyone above 26 years and if you’re below 26, you pay only 5. The walk inside the castle is without a doubt entertaining, especially if you have a philosophical mindset. The one thing I couldn’t get out of my head was how hypocritical this construction (and its furnishing is). The unnecessary wastefulness of material and space used to create the castle represents everything that Christianity anathematizes. But I guess rulers were always above the law they impose to their subordinates, aren’t they? Nevertheless, it is undeniable that the castle contains works of art, which I enjoyed a lot and would go back for. All in all, Trieste was not my cup of tea despite the beautiful scenes it offered. I am pretty sure it’s all a matter of taste, but our little detour made me love and appreciate Slovenia and its warm people even more. Nevertheless, I do recommend visiting Trieste for a day if you’re nearby. After all, the pizza we had tasted amazing (only Italians can get away with putting curry on a pizza!) and the ice-cream was the best we’ve ever had. 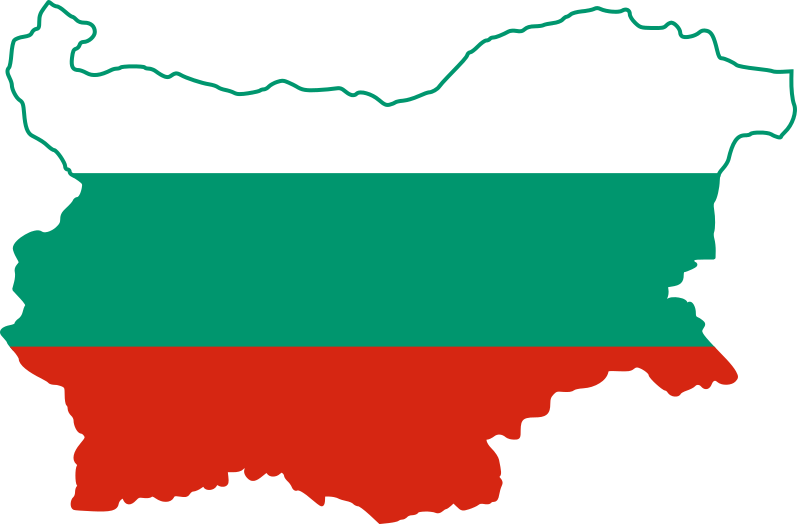 Where do Bulgarian travel bloggers go on holidays? I completely agree with everything you say. 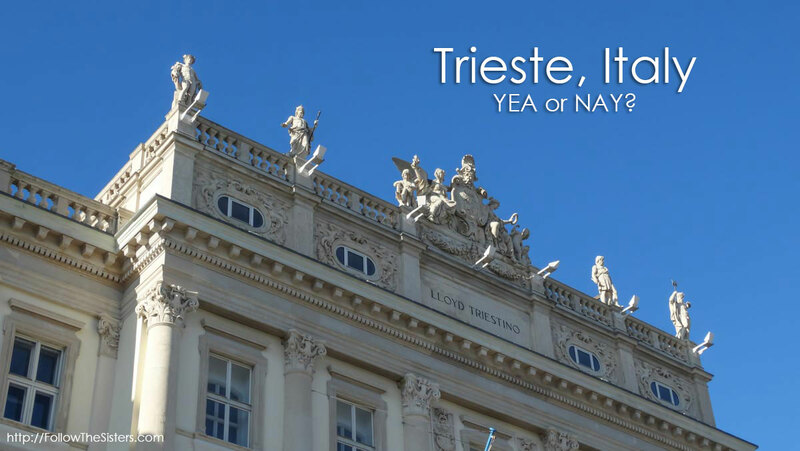 My husband and I visited Trieste last summer and even though it is a beautiful place, I wouldn’t be going again. Most sales people were rather rude and I find the additional tax for sitting in a restaurant completely outrageous. Oh, your pictures are wonderful by the way.